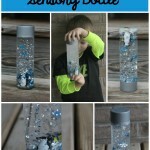 Here’s a fun sensory bottle that your kids will LOVE to shake and watch! 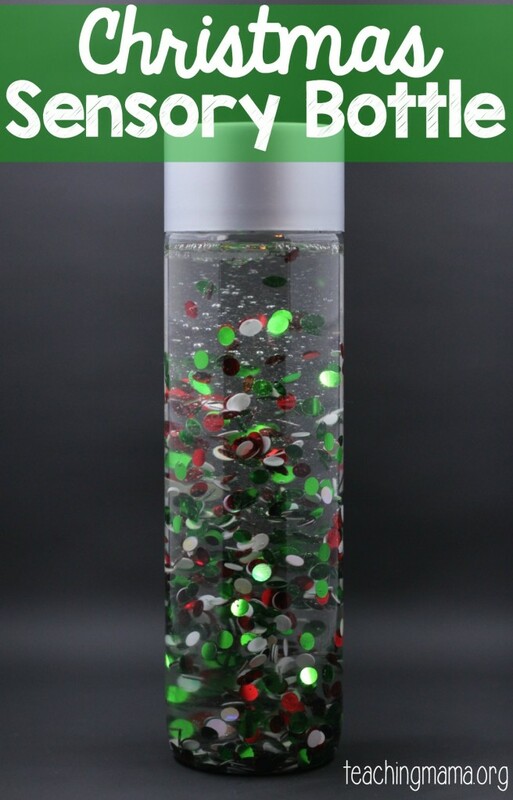 It’s our Christmas sensory bottle and it has a special ingredient! 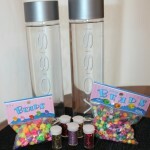 To put the sensory bottle together, I filled the bottle 3/4 full with tap water. Then I poured in a handful of confetti. 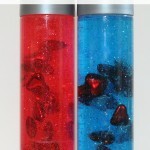 Lastly, I poured in glycerine until it reached the top. 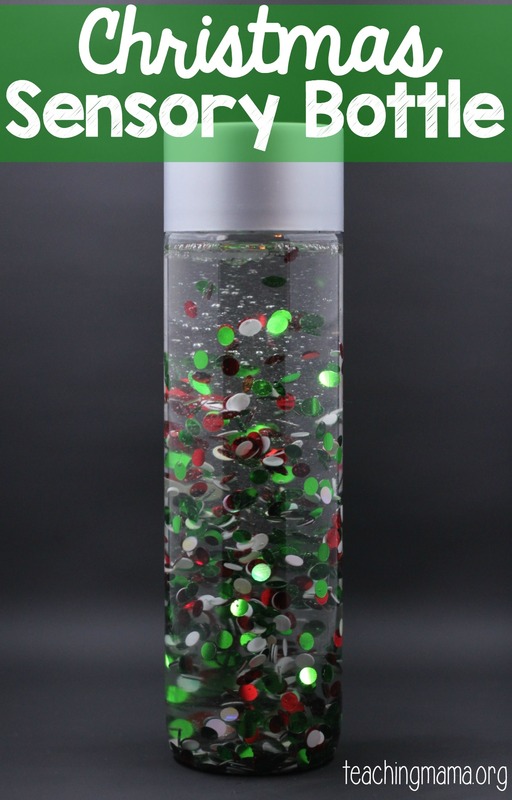 Then I glued the lid on with a hot glue gun. 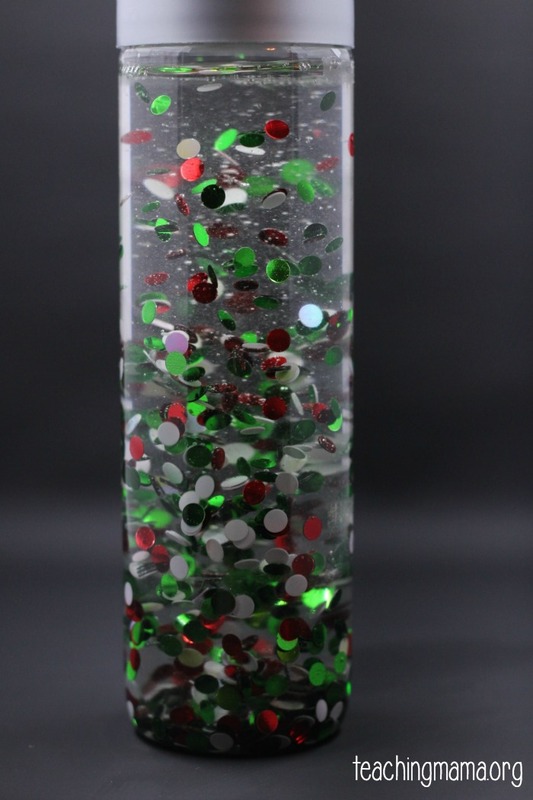 Then when we shook it and the confetti swirl around! 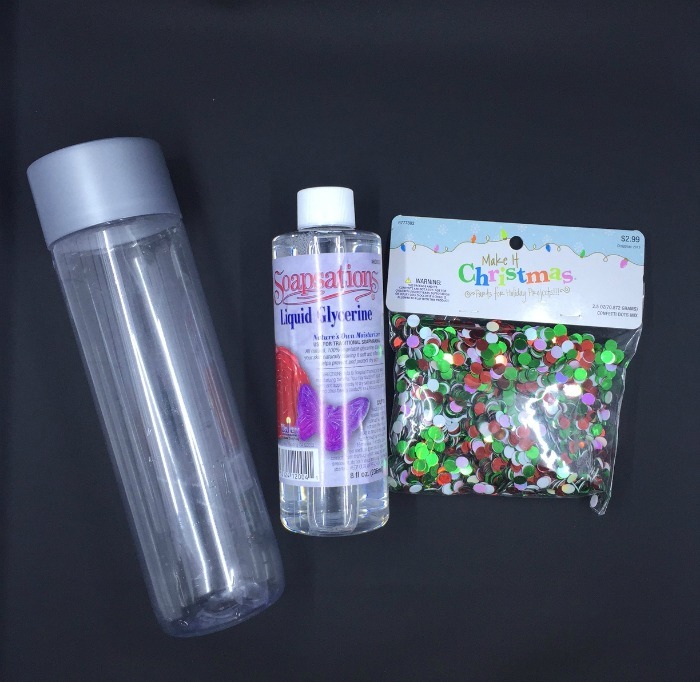 The liquid glycerine helps the confetti fall slower and it makes it twirl around. I think it looks neat!! 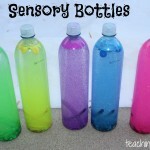 These sensory bottles are great for babies, toddlers, and even preschoolers to shake, roll, and watch. 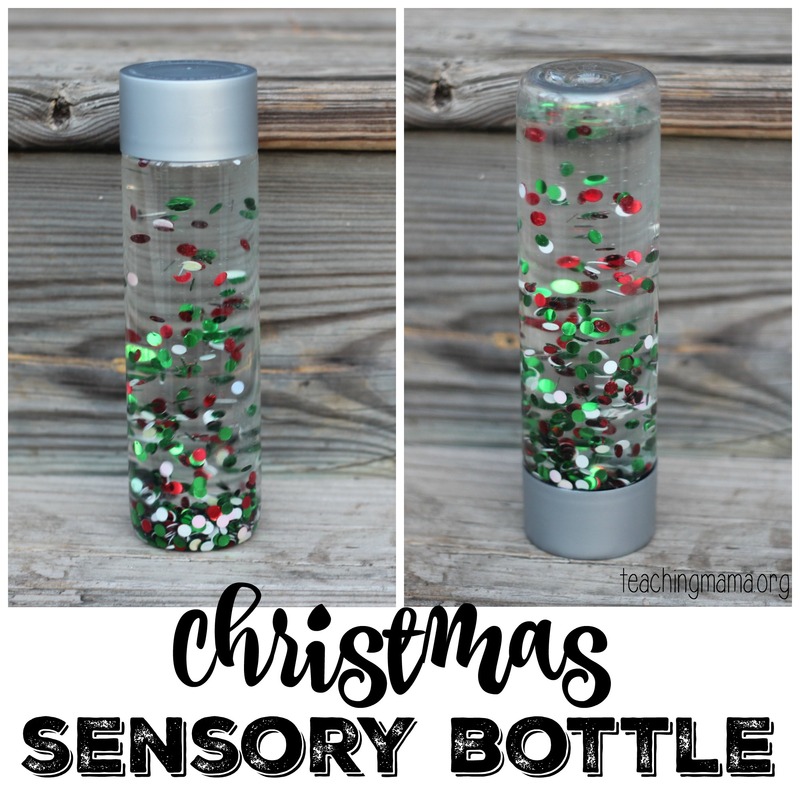 Hope you’ll try this festive sensory bottle out! 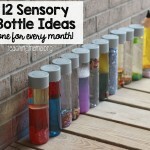 You can see all our sensory bottles here.